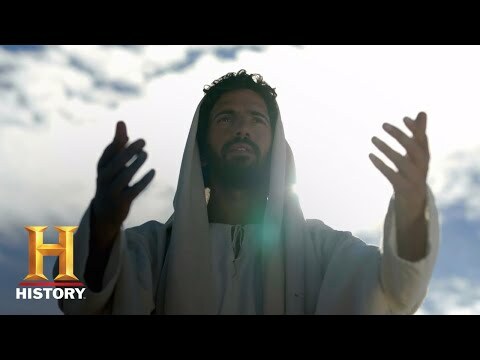 HISTORY's eight-part event "Jesus: His Life" explores the story of Jesus Christ through a unique lens: the people in his life who were closest to him. Each of the eight chapters is told from the perspective of different biblical figures, all of whom played a pivotal role in Jesus' life including Joseph, John the Baptist, Mary Mother of Jesus, Caiaphas, Judas Iscariot, Pontius Pilate, Mary Magdalene and Peter. "Jesus: His Life" brings viewers into this dramatic world to reveal the greatest story ever told. The series premieres two episodes back-to-back weekly beginning on Monday, March 25 at 8pm ET/PT, with the finale airing just before Easter. Jesus: His Life was released on History 25d ago in the US. Notify me when Jesus: His Life is available.